We resumed our regular Wednesday evening youth group at Central Christian Church last night. We are continuing our search for a youth ministry staff person, but for this semester, I am stepping in to hang out with our youth and, quite frankly, I am REALLY excited about it. It seems that just when I think I have “retired” from youth ministry, God laughs (again) and says, “oh, no you don’t” and here I am again. After playing for a while, we went to another room where I set up THE BEST COCOA EVER (stop here, gather the ingredients, toss in the crockpot and then thank me later). I also set up an indoor s’mores bar. 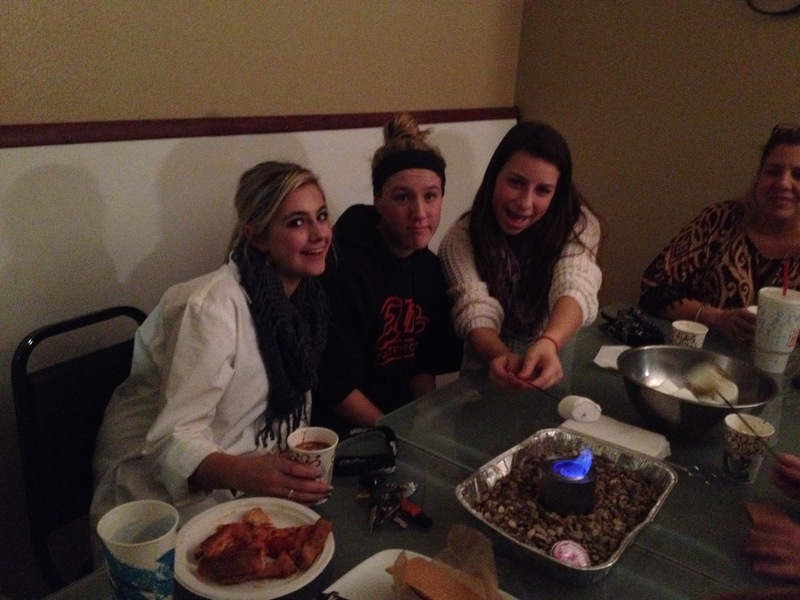 Yes, I am crazy enough to unleash teens with an open flame inside of the church. (I did have a pitcher of water close by…just in case). I used foil pans, pebbles from the preschool playground, and sterno burners. As we roasted marshmallows and munched on all sorts of yumminess, I transitioned the conversation to the “lesson” for the evening. Using this pretty-corny paper I put together as the jumping off point, we engaged in a great discussion about the new year, setting resolutions or goals, picking a word for the year instead of resolutions, and looking at scripture together. Using this list that I found online, I cut each scripture passage into strips and passed them out to all of the youth and adult leaders. Then, they (if they wanted to) read theirs aloud and we chatted about each one for a few minutes. You never know how discussions are going to go with teens…but this one was incredible! Their insight and honesty and vulnerability was worthy of note. I think it’s going to be a great semester and I’m grateful to spend it with them.